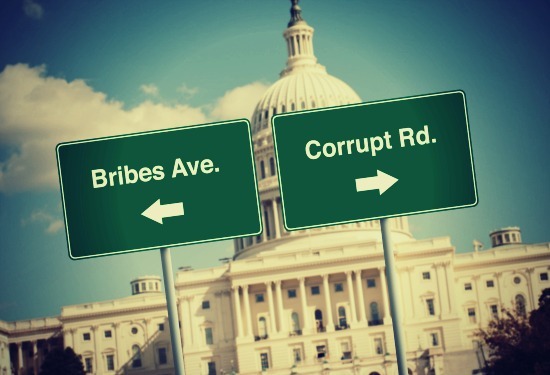 Is There No Limit to Corruption in Politics in the Age of Trump? Gulfport I really wanted to write about the implosion of the Miss America pageant: finally! Sadly, I’m not sure there’s anyway to kill that retro-abomination. The fact that the bosses at such a well known and widely advertised meat market would speak of the women like little more than carcasses is hardly a surprise to anyone vaguely conscious of women and their struggles in America for decades or anyone who has ever watched the pageant for even a minute. We’ve already been exposed to Trump and his operation of such pageants including those with teenage women, and somehow most people shrugged off their disgust. It was encouraging to see that forty-nine former Miss Americas came together to protest the remarks and demand the bosses resign, but, seriously, I can’t believe any of them were surprised, no matter how disgusted. Let’s hope the Miss America contest is finally DOA, but, I wouldn’t bet on it. This is a zombie that somehow can’t be killed it seems. But, since we can’t seem to avoid talking about Trump even on this issue, let’s talk about corruption since that was even more in the news than the abuse of women. There was a piece about investigations of Trump son-in-law and the Kushner family getting a $285 million loan from Deustsche Bank a month before the election. There was another one about the Chilean billionaire scoring a big victory when his license to mine copper and nickle in Minnesota next to a protected wilderness area was approved. Oh, by the way, this billionaire is the landlord for the mansion in Washington, DC, being rented by Trump’s daughter, Ivanka, and son-in-law, Jared Kushner. Hey, maybe it’s not outright down-and-dirty corruption, but it sure smells funny. More seriously the new Republican tax plan seems to have been a huge gift to the President, his family, and in-laws and all of their real estate developer buddies. Once again, is that corruption or not? A federal judge recently dismissed a lawsuit filed earlier that accused the President of violating the emoluments clause of the Constitution, saying that only Congress can judge a breach here, which is a free pass for the Trump team to get millions every time they pass go, since the Republican Congress won’t be touching that problem with a ten foot pole. Recently, I read Zephyr Teachout’s book, Corruption in America: From Benjamin Franklin’s Snuff Box to Citizen United. I’m a Zephyr Teachout fan going back to her path-breaking work in the Howard Dean campaign. I had her as a guest at several ACORN meetings to share her wisdom, and she was always gracious and effective. Her book is dense and lawyerly, but the bottom line argument is that the framers of the Constitution saw dealing with the risks of corruption and making sure there was not even an ethical hint of transgressions as immensely important. Her review of the evolution of lobbying from being flatly illegal to the way of our political world was a shake the shoulders wake-up call. Nonetheless recent Supreme Court decisions, influenced in Teachout’s view by the lack of political experience by the Justices compared to many previous courts in our history, have made effectively policing of political corruption almost impossible. A quid pro quo no matter how clear seems almost impossible to prove without a confession, and that’s as unlikely as the men of Miss American admitting they are misogynists. It almost seems a political license to steal with the lesson being to not be too, too obvious or Brazilian about it. It’s a safe bet that in the age of Trump, given their ethical obliviousness, it won’t get better, it’ll get worse. This entry was posted in National Politics and tagged corruption, Deustche Bank, Kushner, Miss America pageant, Republican Tax Plan, Trump Administration by Wade. Bookmark the permalink.